Super Bowl Sunday is this weekend, but that's not all that's happening. Here are 50 things to do in Connecticut. 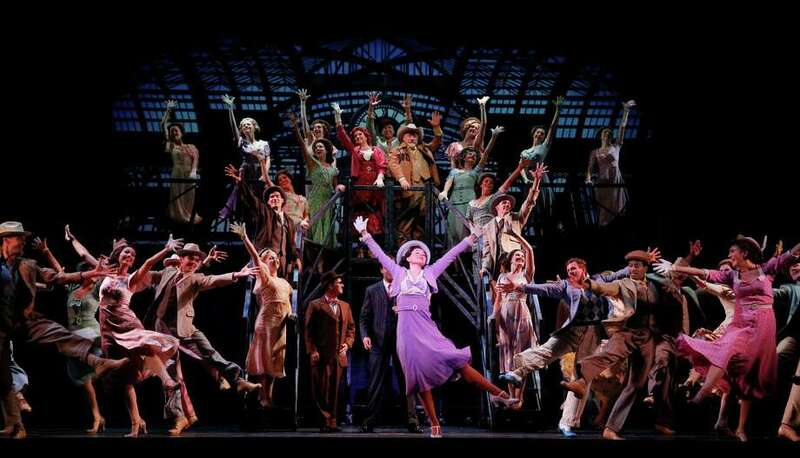 The national tour of “42nd Street” stops at the Stamford Palace Theatre on Friday and Saturday. Find out more. Lil Wayne will perform at the Oakdale Theatre in Wallingford on Friday. Find out more. Comedian Iliza Shlesinger will perform at Mohegan Sun on Friday. Find out more. Billy Gibbons, best known as the lead singer and guitarist of blues-rock band ZZ Top, will perform at the Ridgefield Playhouse on Friday. Find out more. Watch "The Walk" for just $2.00 at Newtown's Edmond Town Hall on Friday, Saturday or Sunday. Find out more. The Bidgeport Sound Tigers take on Lehigh Valley at Webster Bank Arena on Friday. Find out more. Eastbound Theatre, a division of the Milford Arts Council, will present the second show of its 22nd season, the memoir “Hollywood Arms,” by actress-comedienne Carol Burnett, and her daughter, the late Carrie Hamilton, from Friday to February 21. Find out more. “Pride and Prejudice and Zombies" opens in theaters this weekend. Watch the trailer. Music for Youth Director Misty Beyer has announced that the renowned Brown-Canellakis Duo will perform on Saturday at 2 p.m. at the Pequot Library, 720 Pequot Avenue in Fairfield’s Southport section. Repertoire selections will include Ganka’s “Dance” and Bulgarian folk songs. Find out more. The Fairfield County Children’s Choir, with about 300 members, will offers it popular “Broadway” concert on Saturday at the Klein Memorial Auditorium in Fairfield. Find out more. Fetty Wap with special guest Post Malone will perform at the Toyota Oakdale Theatre in Wallingford on Saturday. Find out more. Monster Jam comes to the XL Center in Hartford on Saturday and Sunday. Find out more. Shop deals from 26 local retailers through Saturday. Find out more. William Shatner will perform at Foxwoods this Saturday. Find out more. In the market for a new home? It might be one of the open houses scheduled for this Sunday. Find out more. The Fairfield University women take on Siena College at Webster Bank Arena on Sunday. Find out more. The Fairfield University men take on Manhattan College this Sunday. Find out more. is your last chance to head to the Stamford Museum and Nature Center and see LEGO’s “Billion Bricks 3: Galactic Travels.” Find out more. The Blind Rhino in Norwalk is teaming up with Ken Tuccio and the Welcome To Connecticut Podcast to introduce a brand new Super Bowl Sunday tradition to the South Norwalk area. SONO BOWL will feature fun and entertaining crowd participation games, in which attendees will be able to win cash and prizes right up until kick-off of Super Bowl 50. Find out more. The annual cold-weather celebration of zesty chili fare, will serve up a new side dish — macaroni-and-cheese. “MacChilifest,” as the culinary competition will now be known, is planned for Sunday before the Super Bowl later that day. Find out more. A Boston Buildup 15km race is planned in Fairfield this Sunday. Find out more. "Hail, Caesar!" opens in theaters this weekend. Watch the trailer. "The Choice" opens in theaters this weekend. Watch the trailer. This black dragon, one of an estimated 31 in the United States, is featured in a new exhibition "Dragons! Real or Myth?" at The Maritime Aquarium at Norwalk. Find out more. You don't have to hop on a Manhattan-bound Metro North train to find a cool bar scene; restaurant review site Open Table surveyed its users to find the most vibrant bar scenes in Connecticut. Check them out here. Manager Dana Verdon and co-owner Kevin O'Halloran behind the bar at The Castle on Post restaurant tat recently opened on the Post Road. Read the review. Click here to check out some Valentine's Day deals and packages available at Connecticut's hotels and inns. Explore Connecticut's wildlife this weekend with these viewing tours. Don't get the winter blues. The Connecticut Office of Tourism has plenty of ideas on how to make the most of the season. Find out more. A winter wonderland is in store for us this weekend. Take your loved one out on a romantic winter date. Head to Foxwoods this weekend for a day of outdoor skating and relaxing by an open fire. Find out more. “Images of the City,” at the Bruce Museum through March 6, celebrates the urban experience as hubs of cultural and social activity. Find out more. "Tiger," a mixed-media work by Karen E. Gersch, will be among the animal portraits in an exhibit at the Westport Library through March 23. Find out more. “Jungle Book” plays at the Children’s Theatre at the Downtown Cabaret in Bridgeport through Valentine’s Day, Feb. 14. Find out more. Paul (Robert Rosado) and Corie Bratter (Sarah Sherwood) are newlyweds in Curtain Call’s production of “Barefoot in the Park.” The show runs through February 20. Find out more.